I’m sure there are multiple laws of physics that make this impossible, but using Flash as a door seemed like a cool idea back on June 2, 1978, when Superman did it for the first time in the pages of DC Comics Presents #10. Marvel Team-Up and Marvel Two-In-One were always much, much better. Tales of Suspense #93 hit the stands on June 1, 1967. The lead story was about Iron Man. But the second feature was a Cap story titled “Into the Jaws of A.I.M.” which featured a stubby-limbed bobble head knowns as Mobile Organism Designed Only for Killing. 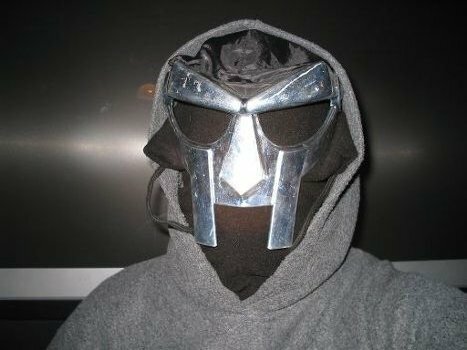 He immediately replaced Arnim Zola as the weirdest looking Cap villain of all time, and has held that record ever since. I drink out of MODOK’s head every day! And finally…. 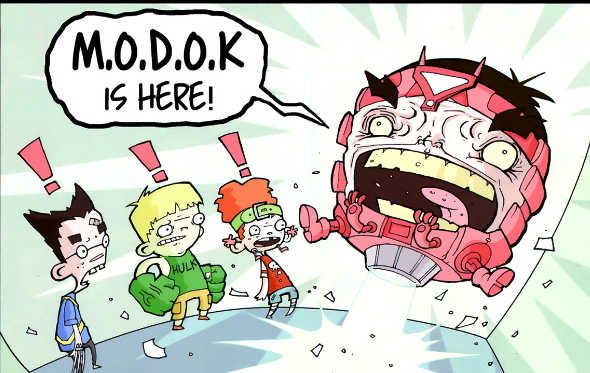 June 1, 2013 ekko1 Comments Off on HAPPY BIRTHDAY M.O.D.O.K! Marvel Spotlight #72, with an August 1972 cover date, hit the stands today. 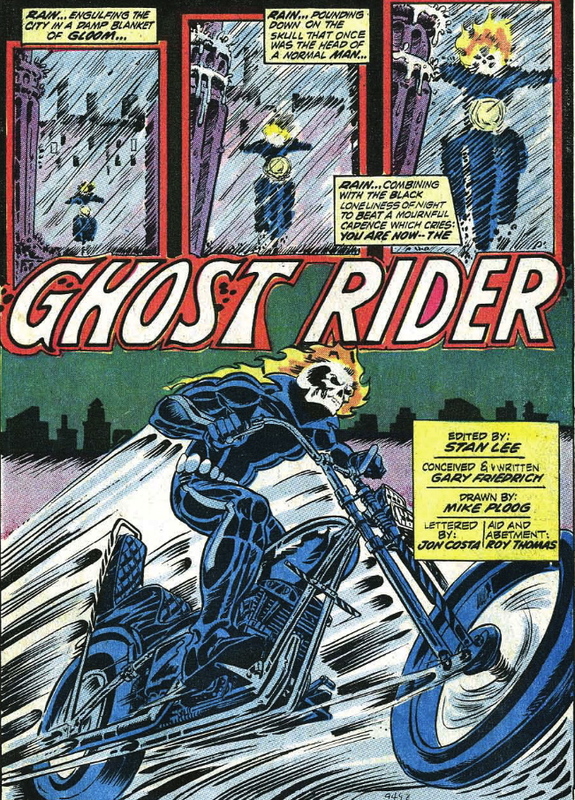 The character was created by Silver Age author Gary Friedrich, with artist Mike Ploog. 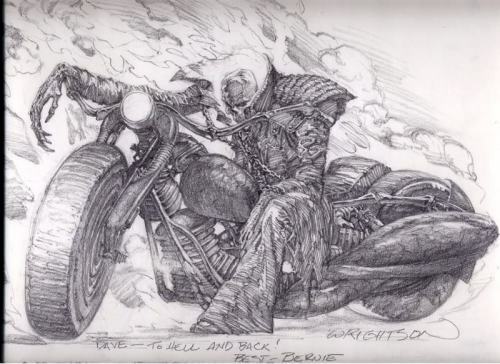 Friedrich recently sued Marvel for some of the profits from the horrible Ghost Rider movies. Naturally, he lost under well-established work-for-hire principles. The truly sad part, though, is that Disney has countersued him and bankrupted him for illegally marketing his own Ghost Rider materials. I’m not taking Friedrich’s side here. I understand that when a publisher pays you to create something, they own it. And I understand that he can’t go around capitalizing on the character. But this seems extreme to me. Seems like Marvel/Disney could let the dude make a little money off of being the creator of their intellectual property. Anyway, you can read it about it lots of places, but a particularly pro-Gary article is here. May 30, 2013 ekko1 Comments Off on HAPPY BIRTHDAY GHOST RIDER! 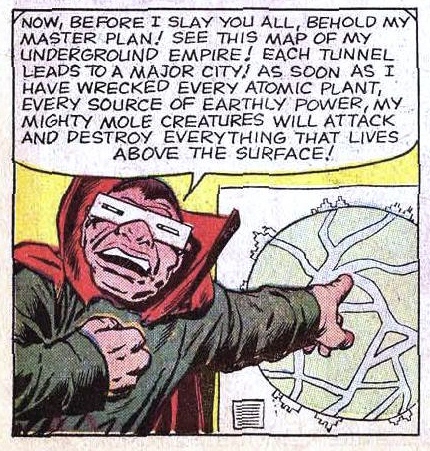 From Giant Size Man-Thing #5, which went on sale on 5/20 in 1975…Steve Gerber’s greatest creation. 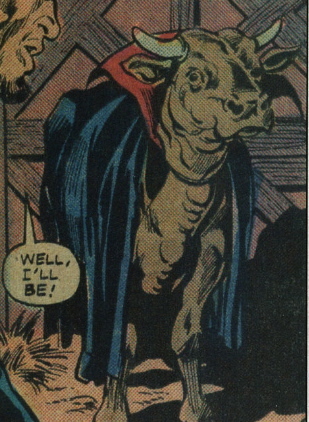 And predating Bat-Cow by over three decades. May 20, 2013 ekko1 Comments Off on HAPPY BIRTHDAY HELLCOW! April 25, 1940. 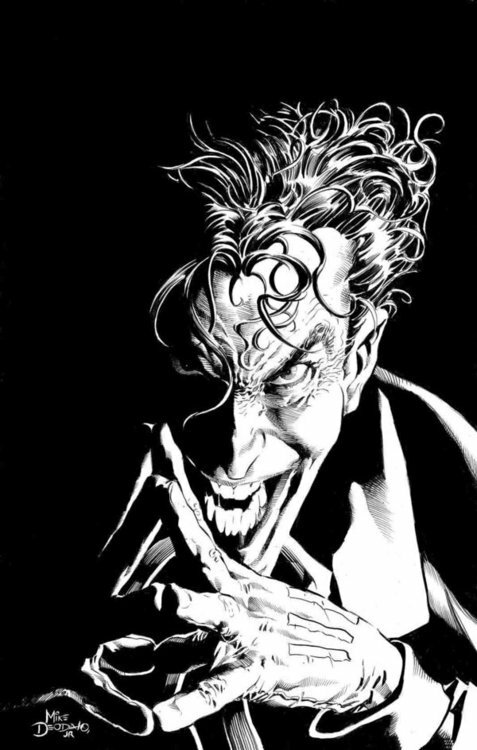 Batman #1 hits the stands, and a hastily written backup feature establishes the most iconic comic book villain of all time. 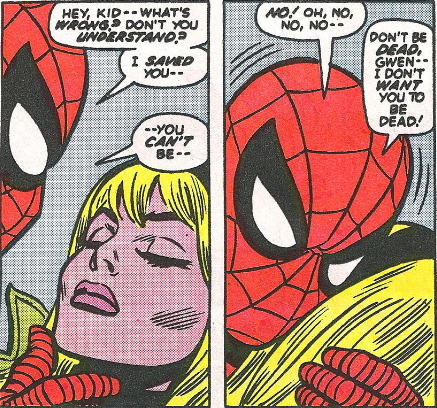 It happened in Amazing Spider-Man #122, which it the stands on April 10, 1973. Pretty cool, huh? 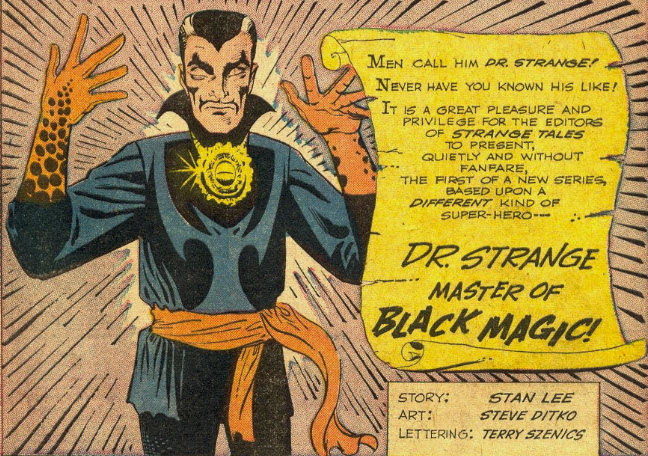 Strange first appeared in a seven page story in Strange Tales #110, which the the stands on April 9, 1963. And if you were there, you shoulda bought two copies. It’s worth over $1500 now. What was great about this first appearance was that there was no origin. Just a short adventure to introduce the character, with no backstory. 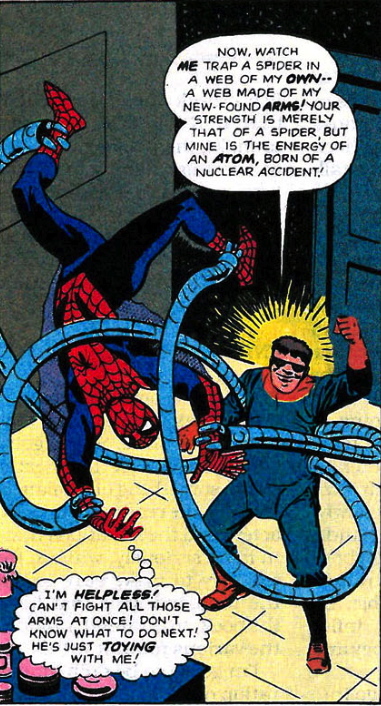 Now known as Spider-Man, Otto Octavius first appeared in Amazing Spider-Man #3, which hit the stands on April 9, 1963. April 9, 2013 ekko1 Comments Off on HAPPY BIRTHDAY, OTTO! 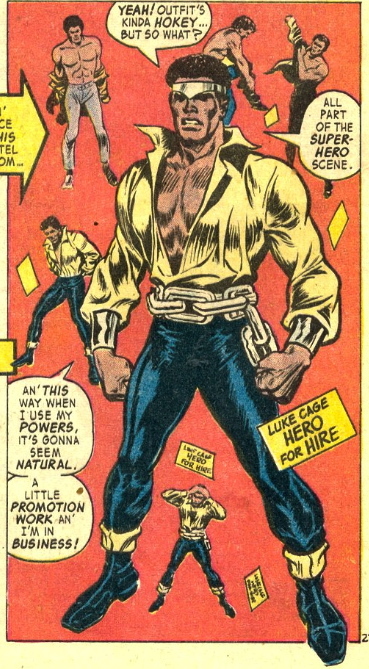 Luke Cage premiered in Hero for Hire #1 on this day in 1972. March 21, 2013 ekko1 Comments Off on HAPPY BIRTHDAY LUUUUUUKE! Mary Jane first appeared in The Amazing Spider-Man #25. But we didn’t get to really see her until a couple years later, in the classic Amazing Spider-Man #42, with its “You just hit the jackpot” iconic panel. March 11, 2013 ekko1 Comments Off on HAPPY BIRTHDAY MARY JANE WATSON!